Through Walk With Sally’s activity events, mentors, mentees, and families impacted by cancer have the opportunity to grow their sense of community. To supplement our quarterly Friendship Activities, we also extend 1-2 opportunities per month we call Bonus Activities! These provide not only a sense of community, but also access for many mentees in the program and their families to enjoy an opportunity they may not have otherwise encountered, like attending a Dodger Game or Nutcracker Ballet Performance. We hope to expose mentees to creativity, excitement and new areas of Los Angeles through every Bonus Activity. Our partnership this year with California Pizza Kitchen Manhattan Village has allowed for some of our bonus activities to elevate to a new level. 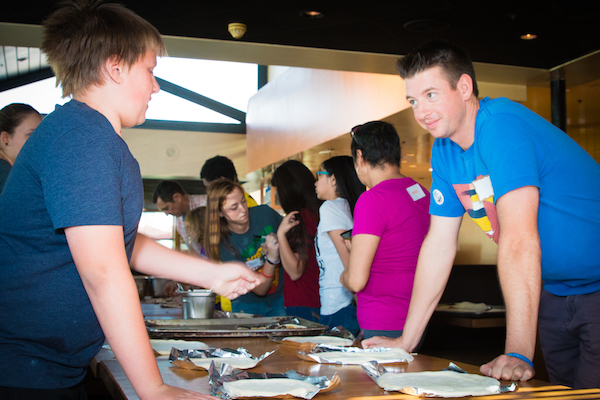 Hosting our program participants twice in 2017, CPK provides the children in our program with an opportunity to remember they’re just kids. 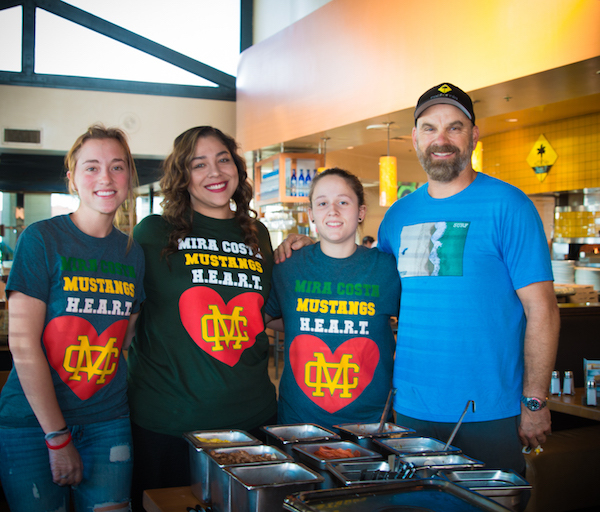 We partnered with General Manager, Walter, who rallied his staff and Mira Costa High School HEART student volunteers to customize an incredible morning for Walk With Sally program participants. First, in April, 41 participants enjoyed making pizza and dying easter eggs. 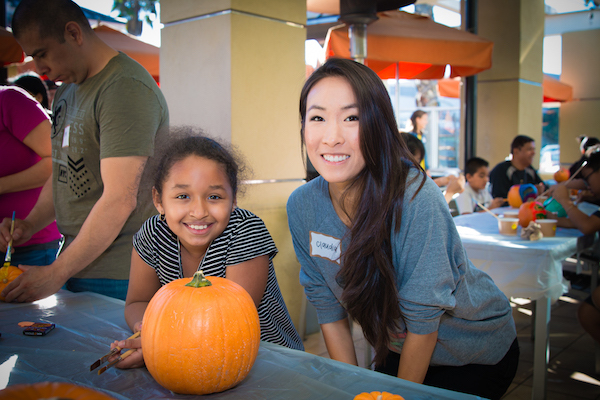 Then, this October, 56 attendees decorated pumpkins and again topped it off with some pizza making! Attendees were greeted by the WWS Junior Mentors. Junior Mentors are mentees ages 14-17 interested in taking on leadership roles through WWS and in their community. 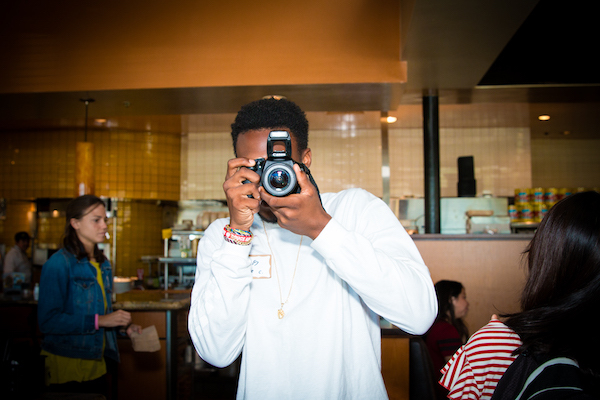 Junior Mentor Ronnie was our supplemental photographer for the day capturing beautiful shots of mentees and mentors. He also had the opportunity to learn techniques while working along side volunteer Liliana from Virtue Photo. 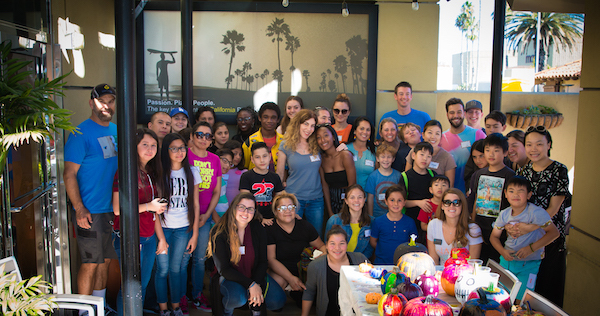 Thank you to California Pizza Kitchen, Mira Costa, and all of our volunteers and supporters for helping to make opportunities like this Pizza & Pumpkins Bonus Activity possible for families impacted by cancer! This entry was posted in Bonus Activity and tagged Bonus Activity, California Pizza Kitchen, CPK, friendship, Halloween, High School, Mentee, Mentor, October, Photo, Photographer, Pumpkin, volunteer.